Having a passport gives the freedom to travel on short notice or whenever you feel like going. However, having an expired passport will not take you anywhere. So, how to rush my passport will give information on the different places that can help with getting an emergency passport. Getting an emergency passport will require the same documents as getting it through routine processing. If you are a first-time applicant, you must provide a completed DS-11 Form, supporting documents, and the fees. The supporting documents include proof of citizenship, proof of identity, passport photo, and proof of travel. Without any of these papers, getting a rush passport can get a delay or cancel. A minor application will require consent from either parent or legal guardians. If you have an expired passport less than 15 years old, you must complete Form DS-82. Along with the form, you must submit the expired passport, passport photo, and pay the fee. Passport renewal is done for an adult passport only. Parents must re-apply for a new passport for a minor, less than 15 years by using DS-11 Form. The same documents must be provided if you have a damaged passport. You must submit the damaged passport as part of the application. Whether you lost your passport at home or while on vacation, the first thing you should is to notify the State Department. It can be done by calling the National Passport Information Center or complete Form DS-64 and Form DS-11 when applying for a new passport. You must also submit your supporting documents and pay the cost. The process applies to either a minor or an adult passport renewal. For applicants who recently had a name change legally can re-apply for a new passport. To apply, you must submit any legal document that will show proof of the name change. Without evidence, a new passport will not be issued and may have problems when re-entering the U.S. Along with the name change evidence, submit Form DS-5504 if your passport is less than a year old. Otherwise, submit Form DS-82 if your passport is more than a year past. Also, provide your current passport, passport photo, and pay the cost. Places like the post office, county clerk’s office, courthouse, or public library can help to rush a passport application. However, the quickest of these acceptance facilities can get a passport is in 2 to 3 weeks. If you can wait this long, then submit your form, documents, and pay the cost. You will then get your new passport in the mail. Other sites can get a passport the same day you submit your application. With the possibility of getting it that quick, the cost will be substantial. The two places that offer this service is a regional passport agency and a private expediting company. 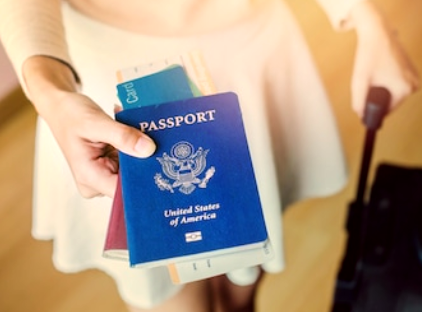 You will likely find more private expeditors than regional agency since there are only 26 agencies scattered across the U.S.
A regional passport agency is not found in every state; therefore, to use one may require you travel out the state you live. Also, every agency needs you to get an appointment to submit your documents in person. So, to get a meeting date and time, you must call the National Passport Information Center. Once you get your date and time, get all the necessary documents you must provide to get a new passport. Any incomplete application can result in a delay or a disqualification. 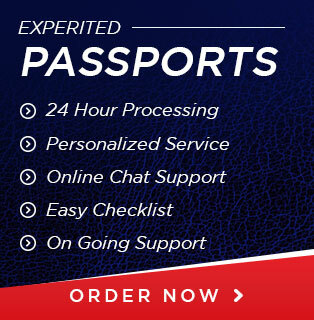 A passport expediting company has the authority to get a passport the same day or in less than two weeks. It all depends on how soon the applicant will need a passport. The expeditor makes the process less stress-free by accepting the documents by mail. So, if you don’t want to travel or you hire one from out of state, you can send your papers by mail. However, you will be responsible for shipping and delivery cost, as well as the value of the service and the passport. Once you get the okay, you will have a new passport the same day, or the time you select to have it. You have many options on how to rush my passport and to get it will depend on how soon you need it to travel. If your trip is short, you can go to a local facility to start the process. Or, if your flight is sooner than two weeks, then you can visit a regional agency or hire a private expeditor. Whichever choice you take to get a passport, you must provide all the necessary documents and pay the price. Otherwise, you will not have a rush passport when you need it.